DataCare is a handy tool to help you manage wireless data usage to prevent from exceed your data plan. 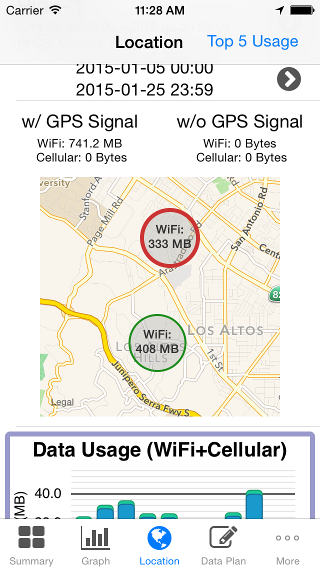 You don't need to waste time to launch the wireless carrier's website because worried about using too much data. 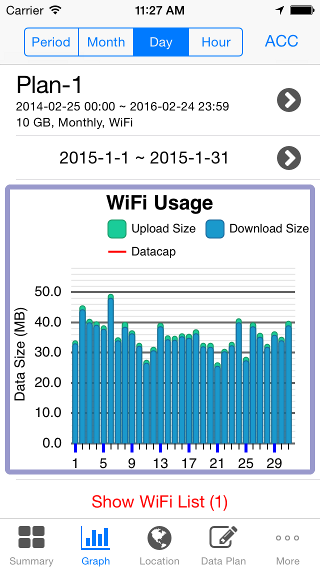 DataCare provides a simple way and useful informations to enable you manage wireless data very easily. 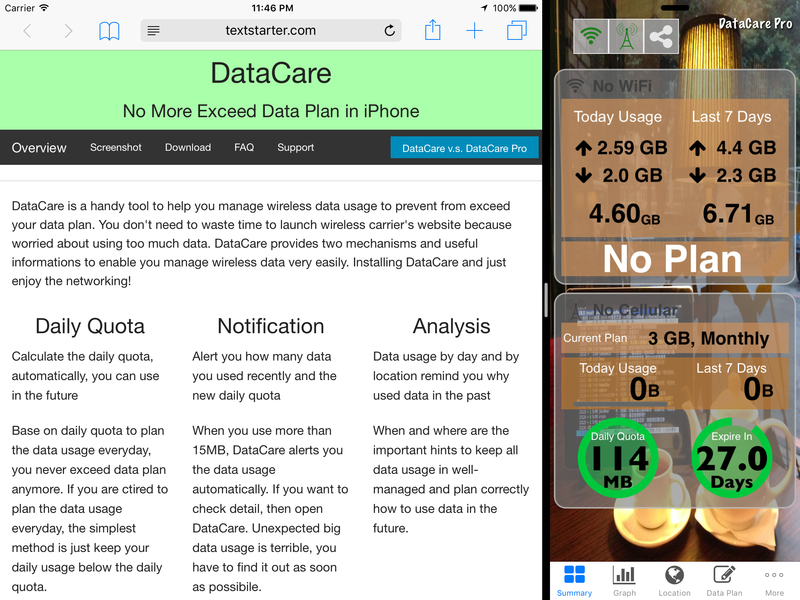 Install DataCare Now, Enjoy Network! 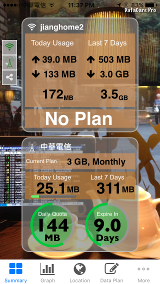 Base on daily quota to plan the data usage everyday, you never exceed data plan anymore. 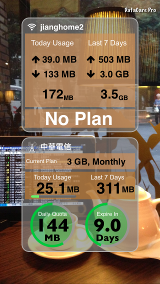 If you are tired to plan the data usage everyday, the simplest way is just keep your daily usage below the daily quota. 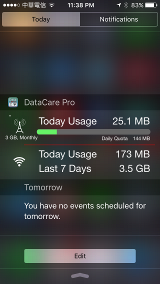 When you use more than 15MB, DataCare alerts you the data usage automatically. If you want to check detail, then open DataCare. Unexpected big data usage is terrible, you have to find it out as soon as possibile. 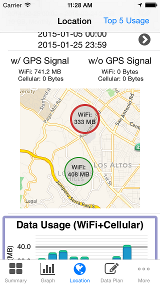 When and where are the important hints to keep all data usage in well-managed and plan correctly how to use data in the future. 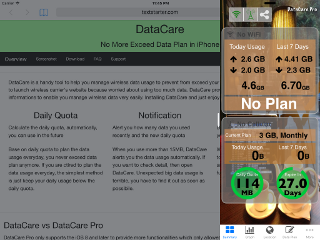 DataCare Pro only supports the iOS 8 and later to provide more functionalities which only allowed on the latest iOS, such as Today extension and Apple Watch. 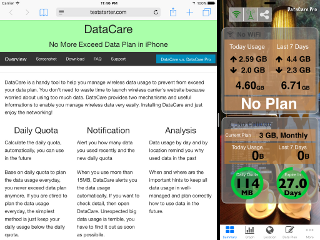 DataCare is free with ads and provides only limited functionalities to support iOS 6 and later, you can pay to remove ads and enable more features. 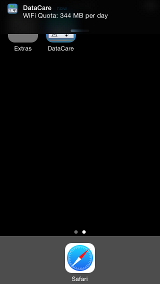 Why does DataCare require Notification permission? 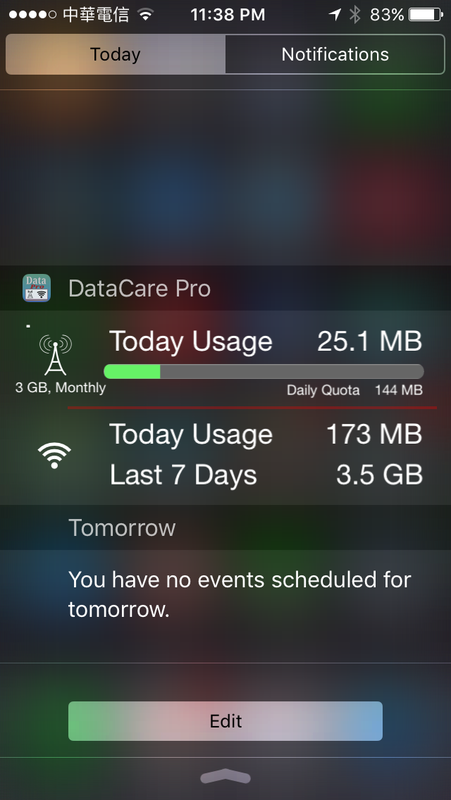 Ans: DataCare uses local notification to alert you useful informations, such as daily quota, billing cycle starts and ends, data usage per 15 MB. Does DataCare use a lot of battery power? 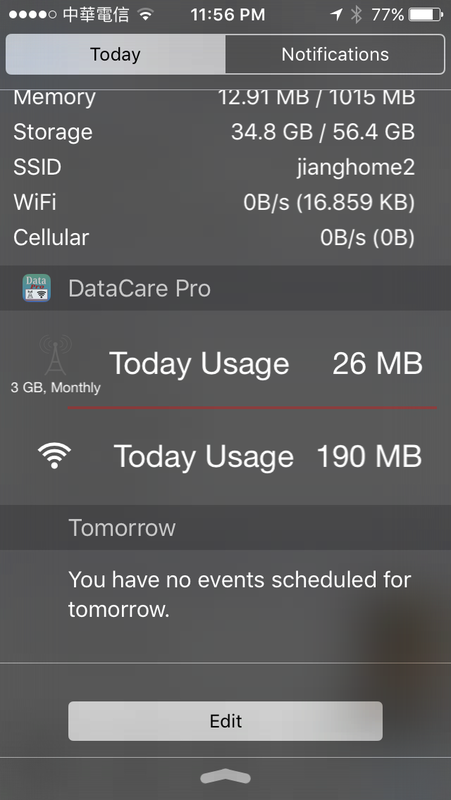 Ans: iOS 7 and later provide battery usage percentage per app, in my iPhone 5 with iOS 9.1, DataCare takes less than 1% and DataCare Pro takes less than 2% in 24 hours. 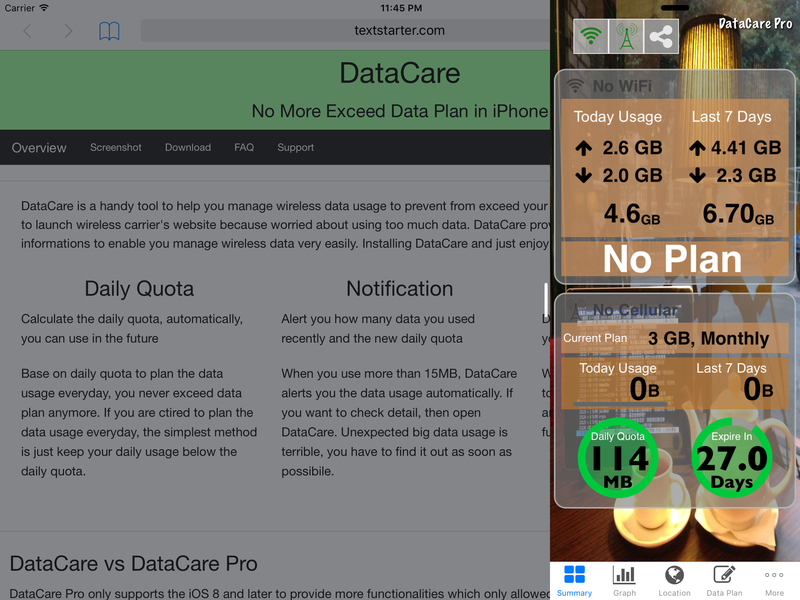 In 7 days, DataCare and DataCare Pro both are out of top 18 apps. 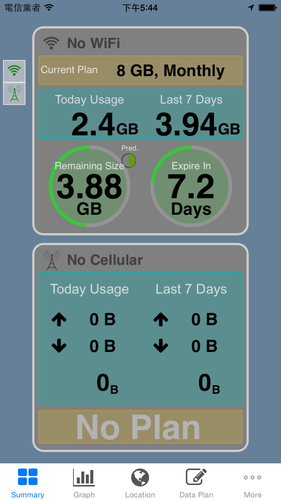 Can DataCare provide data usage of each app usage? Ans: Due to iOS security restriction, DataCare can't get other app's status. 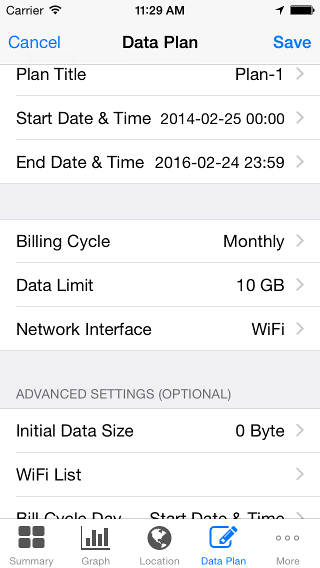 But, iOS builtins a simple profiling feature for 3G/4G data usage per app, you can access in Settings.app => [Mobile Network] and scroll down to find the 3G/4G statistics. Why does not DataCare show the up-to-date statistics? 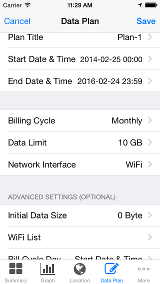 Ans: DataCare may takes several seconds to calculate the data usage as the collected data grow to thousands. 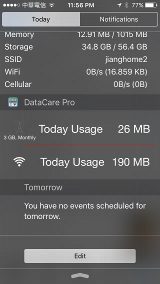 Can DataCare show the amount of remaining data size? Ans: Sure, please tap the circle contains daily quota in the cover page. 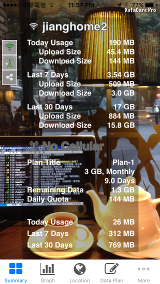 It is really noisely to see data usage report every 15MB, can I adjust it to 30MB or other size? Ans: This functionality only available for DataCare Pro.